There are few things more relaxing than lounging poolside while sipping a frozen concoction made straight from your party machine. The warm sun, the cool breeze, the refreshing beverage in your hand - it doesn't get better! 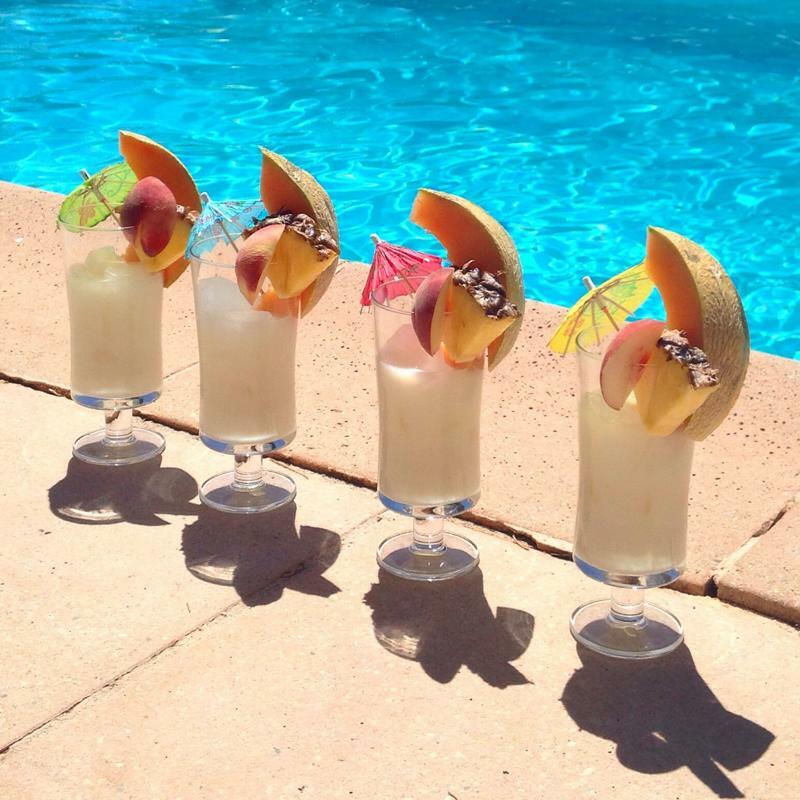 Try making these frozen drinks that are perfect for unwinding by the pool. A slice of juicy watermelon is fantastic on a hot summer day, and you'll love the fruit in a frozen drink too. If you're making a batch of this drink for a bunch of your friends to enjoy poolside, you can get extra points for creativity by serving the drink in a large, hollowed-out watermelon after making it in your party machine. Cut a watermelon in half, scoop out the fruit and pour in the drink, then simply serve with a ladle. Add all ingredients to your Frozen Concoction Maker® and hit the switch to blend your drink to the perfect consistency. Pour into margarita glasses and garnish with a watermelon cube and a lime wedge. 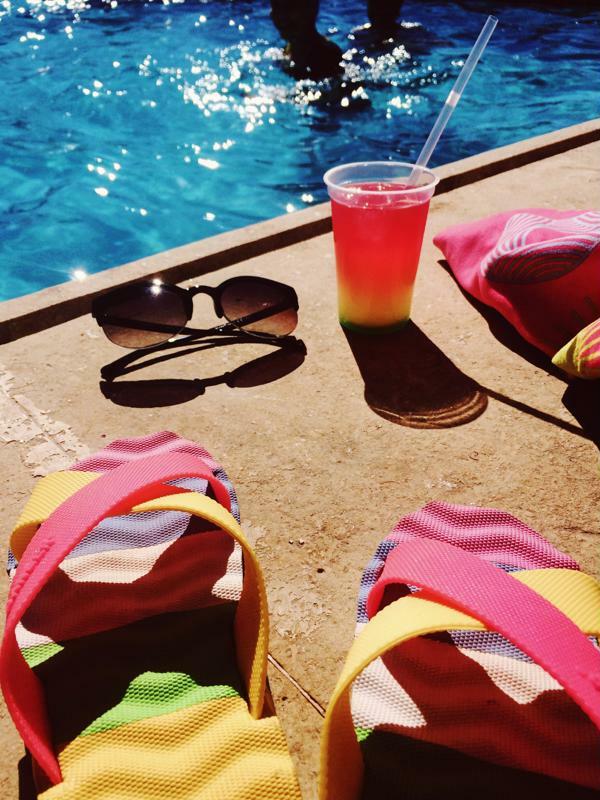 There are so many refreshing frozen concoctions you can enjoy poolside. Sweet mango, juicy pineapple and zesty citrus flavors combine to create a frozen concoction that will refresh you any time of day. Add all ingredients to your Frozen Concoction Maker®. Hit the switch to blend your drink to the perfect consistency. Pour into margarita glasses and garnish with a mini umbrella and a large pineapple slice. The cool, refreshing flavor of cucumber and a touch of sweet honeydew melon makes this drink perfect for sipping slowly while lounging by the pool. Fresh mint makes this concoction even more memorable - this frozen drink might become your new signature! Add all ingredients to your Frozen Concoction Maker®. Hit the switch to blend your drink to the perfect consistency. Pour into tall glasses and garnish with a sprig of mint and a cucumber slice. Herbs come into play again in this elegant drink that's perfect for a little relaxation in your favorite lounge-chair by the pool. Add all ingredients to your Frozen Concoction Maker®. Hit the switch to blend your drink to the perfect consistency. Pour into tall glasses and garnish with a strawberry and sprig of fresh basil. Sip a refreshing frozen concoction by the pool. Sometimes, the only thing that will quench your thirst is lemonade. The classic warm-weather beverage is taken up a notch and given a frozen twist. Add all ingredients to your Frozen Concoction Maker®. Hit the switch to blend your drink to the perfect consistency. Pour into a large pitcher, classic lemonade-style, or pour into tall glasses and garnish with a lemon wedge. The sparkling turquoise waters of the pool inspired the hues in this refreshing frozen drink. Add all ingredients to your Frozen Concoction Maker®. Hit the switch to blend your drink to the perfect consistency. Pour into tall glasses and garnish with a sprig of mint and toss a few blueberries onto the top of the frozen drink.